Royal Dublin Society, Anglesea Road, Ballsbridge, Dublin .4. 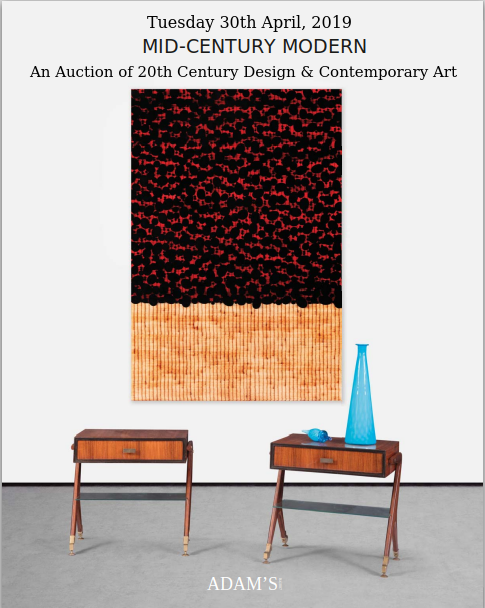 A sale full of quality and many of the big names of Irish Art are represented. Amongst the 211 Lots are fine landscapes by William Percy French, James Humbert Craig, Paul Henry, Maurice Canning Wilks, portraits by William Orpen, Seán O’Sullivan, Paul Nietsche, and Harry Kernoff. 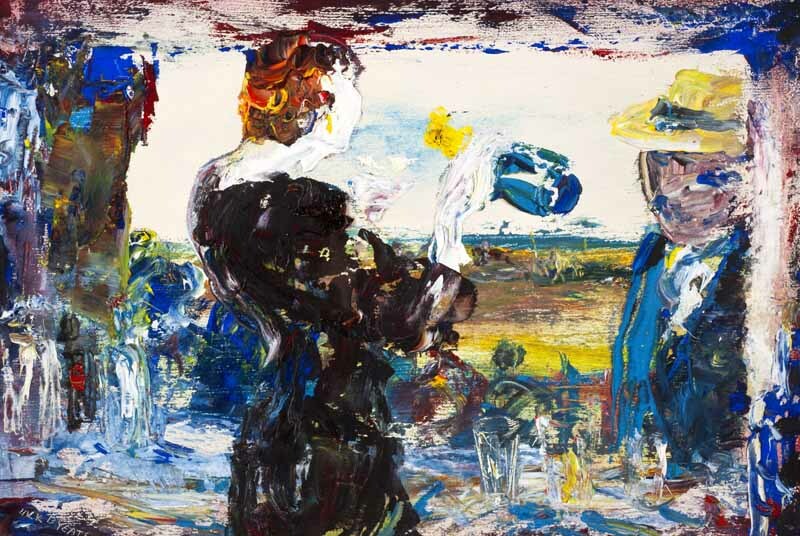 There’s also a fair dollop of Abstract rubbish in the sale including two Jack B Yeats works both of which carry the top estimates in the sale of €100,000 – €150,000 and which will undoubtedly reach or surpass their reserves. 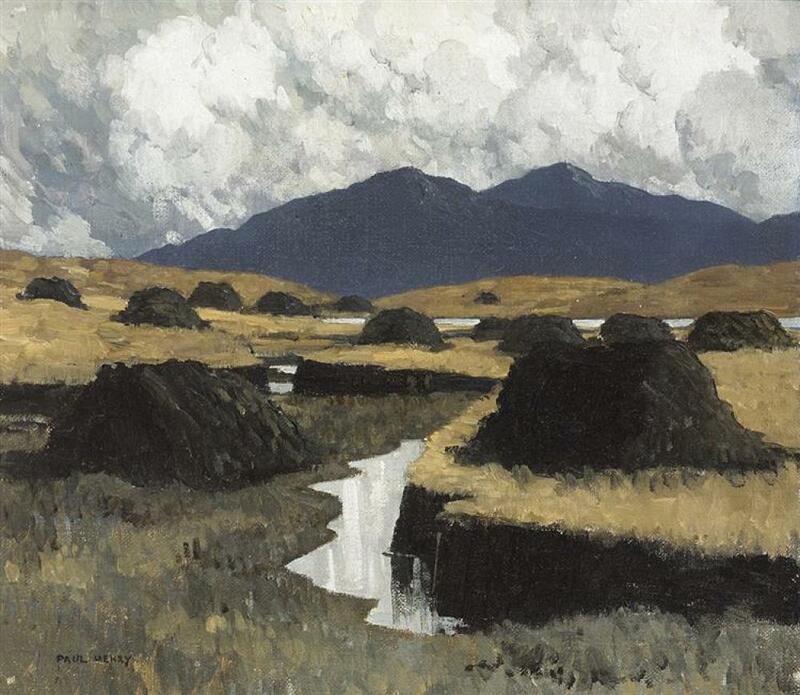 Lot.9.”A Kerry Bog” 1934/35, oil on canvas (16″ x 18″) by Paul Henry which carries an estimate of €60/80,000. Lot.19. “A Passage is Required” 1953, oil on board (9″ x 14″) by Jack Butler Yeats – Est: €100/150,000. 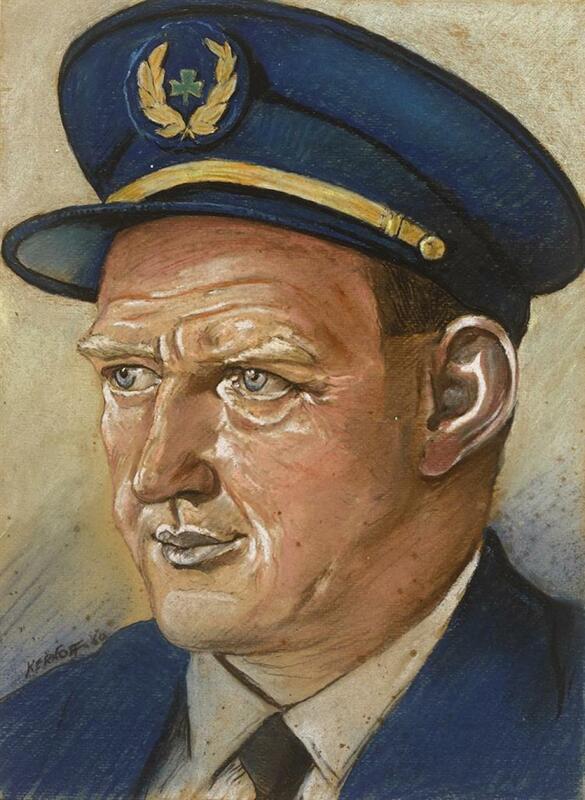 The star of the sale, for me, is the Harry Kernoff portrait of Aer Lingus Pilot, Captain John Tweddle (pictured below) which has an interesting back story. Born in 1917, John Lawson Tweddle was a keen sportsman, winning medals for activities as diverse as diving and athletics, and being capped for Ulster rugby on at least four occasions. During World War II he served with the RAF and was made Flight Lieutenant. After the war, he worked for Aer Lingus and was one of the first pilots to fly BAC 1-11 jets in the early sixties. He was a close friend of Harry Kernoff. The painting comes with a copy of a 1965 newspaper article from the Daily Express, featuring Captain Tweddle who was shortly to appear in a musical. The paper reported that Tweddle (the “Singing Skipper”) was being allowed a week’s leave from Aer Lingus in order to play the part of Sultan Ali Ben Ali in the airline company’s own production of the “Desert Song”. Ref.Whytes. Lot.42. “Portrait of Aer Lingus Pilot, John Tweddle” 1960, pastel (13.5″ x 10″), Harry Kernoff – Est: €800/1,200. Whyte’s Sale of Important Irish Art on Monday grossed over €1.3 million. 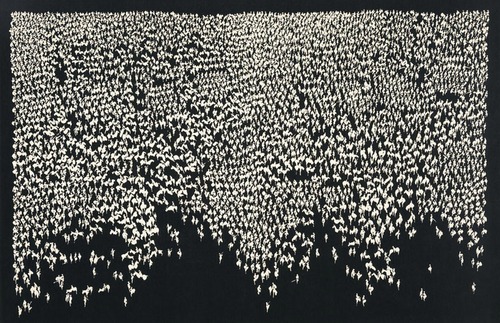 The star of the show was (Lot.47) the Louis le Brocquy Táin tapestries which sold for €245,000. Generally prices met expectations but some of the big names only reached their lower pre-sale estimates. “The Pontoon” by Jack B Yeats (see pic further down this page) failed to set the world alight reaching only €49,000 against its pre-sale estimate of €50,000 – €70,000 ; probably more to do with the present economic climate than good taste! 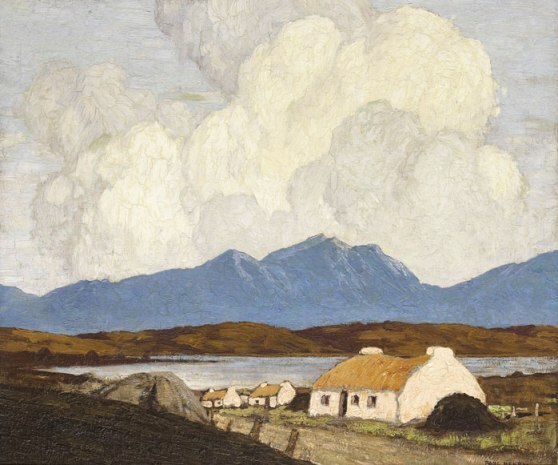 Even Paul Henry’s wonderful “Cottages, West of Ireland” Est.€60,000 – €80,000 only reached €56,000. Bucking the trend were works by Francis Bacon (Lot.27) “ Est.€6,000 – €8,000 sold for €25,000 and Sean Keating (Lot.69) Est.€25,000 – €35,000 which sold for €42,000. Monday 21st May next sees Whyte’s Sale of ‘Important Irish Art’ take place at the RDS in Ballsbridge. The company’s Managing Director, Ian Whyte, says it is one of the most valuable sales to have been held by his firm in recent years. Amongst the many undoubted treasures on offer are works by Louis le Brocquy, Paul Henry, Jack B Yeats, Sir John Lavery, James Humbert Craig, Frank McKelvey and a host of other big names. 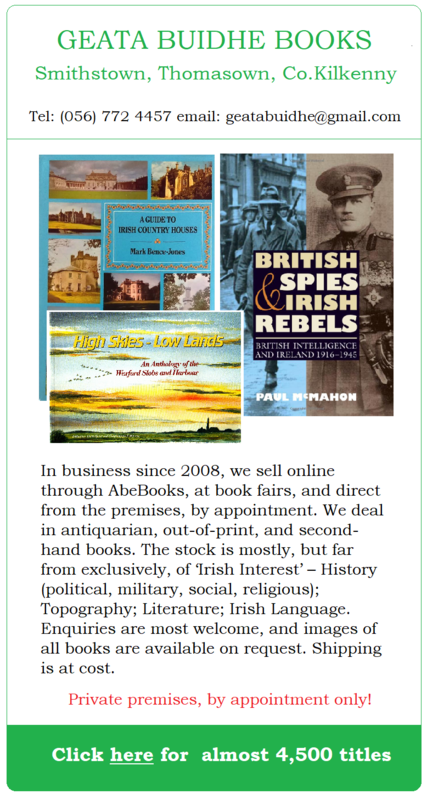 As Whyte’s pre-sale press release points out, in a sign of the times a number of the works come from a corporate collection in Northern Ireland being offered by the liquidator. With a lot of fine art now coming on the market in the next few weeks, in the middle of a very serious economic downturn, it will be interesting to see if prices hold up or will there be bargains to be had. Sotheby’s sale of ‘British & Irish Art’ on May 10th saw half the Irish lots on offer go unsold – including two works by Louis le Brocquy – whether this is a foretaste of things to come only time will tell. I imagine things will pan out in much the same way as the property market and quality will hold its value – so keep away from the work of Sean Scully, Michael Mulcahy, William Crozier etc.etc. To my mind the Paul Henry paintings in the sale are head and shoulders above the Le Brocquy and Yeats works and, in all probability, much more affordable! I wouldn’t give either wall space but then I’m only a peasant and am not sophisticated enough to appreciate ‘fine’ art! Give me the chocolate box art that launched a thousand railway posters any time – Paul Henry, the undisputed master of the genre, has four wonderful paintings in the sale. No need for any member of the intelligentsia to explain what the artist was trying to convey either! Good taste triumphs at Whyte’s Irish Art Sale! Whyte’s Irish Art Sale on the 28th November saw Paul Henry’s ‘Altan Lough, Donegal’ eclipse the Jack B Yeats ‘The Street in Shadow’ for the top price realised – €75,000 and €72,000 respectively. 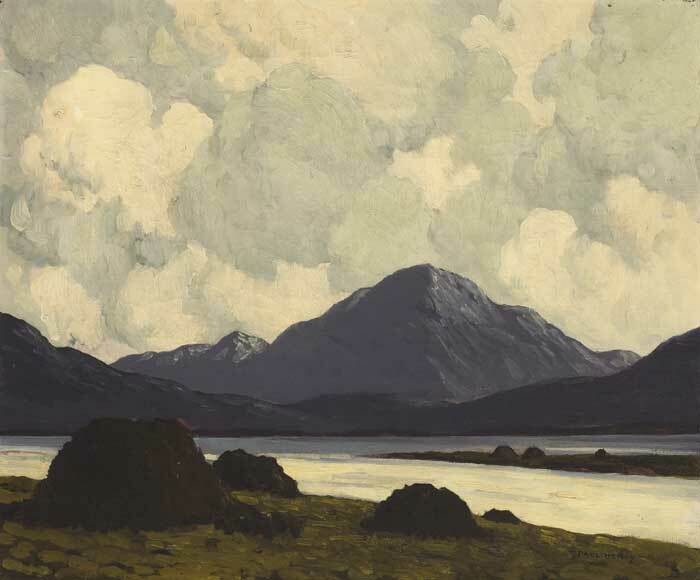 The Paul Henry handsomely exceeded its pre-sale estimate of €40,000 – €50,000. The sale was a great success for Whyte’s, grossing in excess of €800,000 in total. An interesting video clip of the sale highlights is available on http://myantiques.tv/ in the meantime here is the star of the sale – Altan Lough by Paul Henry – enjoy, as Ian Whyte said, “you won’t be seeing it again for sometime”! 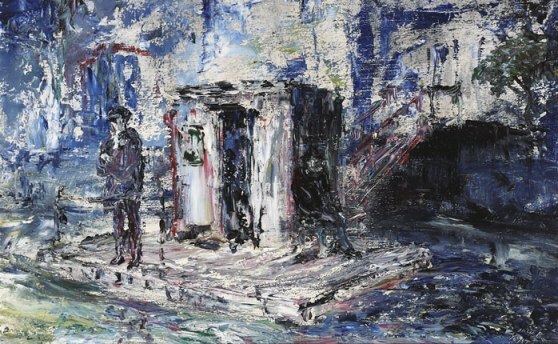 Yet another work by Jack B Yeats dominates this sale – “The Casualty” (see below) is estimated at £75,000 – £80,000 and no doubt it is a good investment but is it art? Other artists amongst the 370+ lots include John F Skelton, Gregory Moore, Joseph William Carey, Markey Robinson, Maurice Canning Wilks, Colin Middleton, Frank McKelvey, George W Morrison and William Connor. 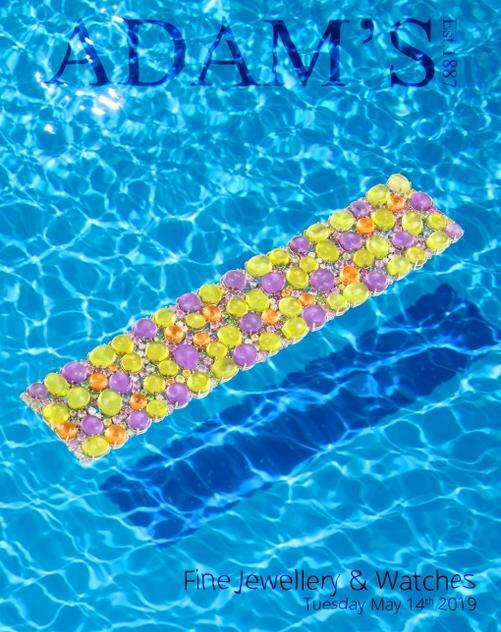 Something for every pocket – be sure to check out the online catalogue link below. Whyte’s sale of Irish Art on Monday last (10th October) grossed over €700,000 and has been deemed by the company as a very successful sale. The top price was €110,000 for Lot .32. 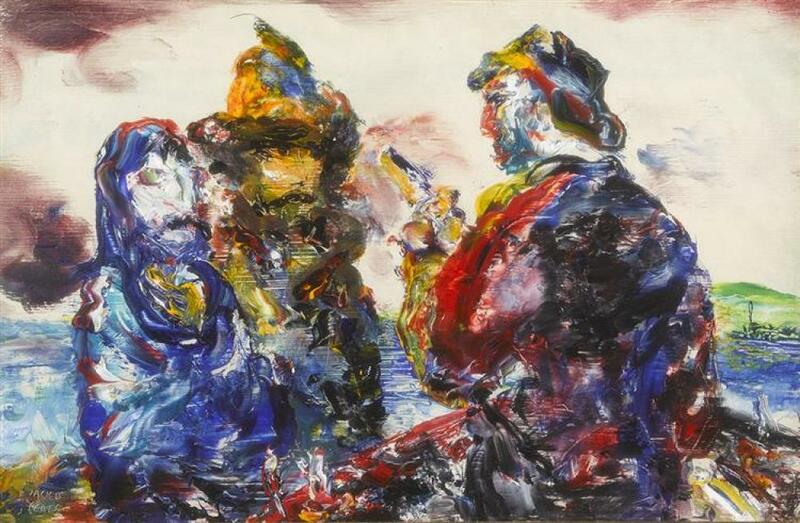 ‘ Rescue Men’ by Jack B Yeats – against a pre-sale estimate of €60 – €80,000. Proof, yet again, that there’s no accounting for taste but perhaps it was purchased as an investment. Other notable results were €60,000 for Lot.41. 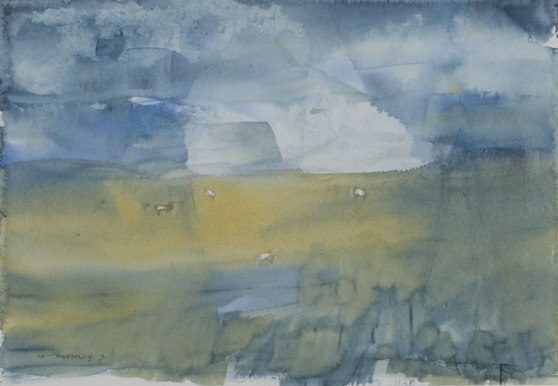 ‘Connemara Landscape‘ by Paul Henry and a total of over €20,000 for Michael Hanrahan’s Royal Visit to Ireland series. The Percy French work, featured further down this page, failed to sell and maybe available for sale by private treaty through Whytes.